Let me get this out of the way quickly. I’ll start the review with what should really be the last sentence in it: Underdark may very well be the best 4th Ed. supplement written to date. It gets right what to me “Plane Below” got all wrong. It feels like a complete book that doesn’t make you flip to other books. It gives us DM’s a self contained wealth of material to run an entire campaign with, and enough locales, flavor and monsters to keep your party busy for the entire three tiers of play. This book feels like a campaign setting, even if it is not sold as such. Unfortunately, the book suffers from a big minus, in that none of the locations presented are mapped. It looks like WOTC’s cartographers called in sick during the writing of this book, which is very unfortunate. So now that you know where I stand with the product, let’s get to the “why” of the matter. We start with a quick look at what the common folk know of the Underdark, the common knowledge most people would be familiar with. We then move on to the origin story, which involves the downfall of a god, Torog, the King that Crawls. Figure out how that nickname ties into the creation of the Underdark. This chapter also includes the sections on the geography, the lords of the realm, and some fantastic terrain. Adventures and campaign arcs are in here as well, with many to pick from to start a campaign from the ground up. This chapter is also filled with sidebars providing DM’s with tips and ideas on how the Underdark affects PC’s, how they may find shelter, food and water, and that sort of stuff. Yes, the book is that detailed. In a nutshell, the shallows are the tunnels and entrances to the Underdark nearest to the surface. This is where PC’s in the heroic tier would make their journey into the darkness, and meet duergars, goblins, troglodytes, and other creatures that make their home here. What I really like about this chapter is that we get several fully fleshed out (sadly without maps) locations that are part of the Shallows. Forgehome, for example, is a dwarven community below the surface of the world, and Maelbrathyr, a ruined city dragged down into the Underdark. This chapter also includes the first of three delves in the book, and new monster themes relevant to citizens of the Underdark. It’s worth noting that the delves in the book all use Dungeon Tiles that are still available in stores, unlike the Dungeon Delve book which used out of print tiles in its design. Again, several sidebars add to the flavor and usability of all this material in a campaign. The deepest portions of the Underdark make up the depths, and here, your Paragon and Epic tier pc’s will find many of the emblematic creatures they’ve come to expect: Drow, Mind Flayers, Aboleths, and such. 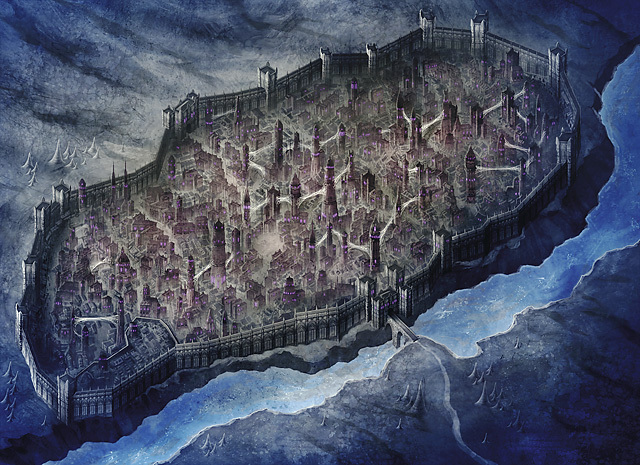 Here’s where the Drow lovers will find the juiciest part of the book, as the Drow city Erelhei-Cinlu is detailed, with a nice image of the full city and plenty of fluff. Noble houses, city locations, architecture, military and ghettos are all detailed. If you are running a Drow campaign, this section alone is worth the price of admission, as the city can obviously serve as a template for any Drow city you may have been planning on incorporating into your game. Hmm. Too bad there’s no maps. Figure out how to key that map for yourselves. We also get an Aboleth realm, a large underground ocean, a lost mind flayer settlement, and tons of other locales for both Paragon and Epic tiers. A Paragon tiered delve rounds out the chapter. Just like the world has its echoes in the Feywild and the Shadowfell, so does the Underdark. Here we get what the underground looks like for these two planes, and well, it’s all kind of similar, but with subtle differences. For example, the Feydark has no Shallows or Deeps, it is all pretty much the same depth. And instead of pervasive darkness, it is lit with a dim glow a product of spores and luminescent sea creatures. Fomorians and Cyclopses make their home here, along with gnomes from the kingdom of Drochdan. I think that the Feydark is just different enough, flavor wise, to distinguish it from the Underdark, much more than its Shadowfell counterpart, the Shadowdark. Trees and plants live down in the Feydark, along with reptiles, rodents, bugs, and other animals. There is more light down there as well, and in fact some of the tiles that are used in the delve in this chapter are the “Sinister Woods” ones. The Shadowdark is a colder, darker, version of the Underdark, filled with undead, dark ones, and a new race called Incunabula, humanoids in the service of Vecna. No. they aren’t made available as a PC race. Locations in this chapter include Glimmer, the incunabulum City of Secrets, Esarham, the graveyard of Demons, and Lathan, the River of Souls. If I had to pick the weakest chapters in the book, it would be these two. I still think we need separate books on the Feywild and Shadowfell, and detailing their respective “underdarks” would have probably fit better in those future books. These chapters do not have the same level of detail as the others in the book, at least in my opinion. The last chapter in the book gives us new monsters, the biggest, baddest one being Torog, a huge level 34 solo lurker, and his Crawling Blood Swarm, a level 34 minion that reproduces itself when adjacent to bloodied creatures. Pretty cool. We also get new versions of already existing creatures like grimlocks, kou-toas, and a mind flayer. So, yeah, I’ve gushed positively about this book. It is a good book. It feels complete, unlike “The Plane Below” which I found was an incomplete mess of a book. Underdark will not have you flipping pages to other books, rather, it’ll have you mining it for ideas in your own campaigns. It’s making me want to start mine over to take my pc’s into the underground and try one of their campaign arcs. A negative in the book? Where are the maps? Sure, delves are mapped with Dungeon Tiles, but we get zero cartography. There are tons of locations in the book and we get no keyed maps. That is a big minus. I wrote recently about Wizard’s incorporating tons more fluff into their books making up for the amount of rules one can find on DDI, and the fact that I think they probably need to protect themselves from people not buying books due to them having a DDI subscription. Well, this book again solidifies my theory. It is packed with story bits, good stuff on the locations, creatures and inhabitants. I can’t recommend it enough. It’s a fun read. It reeks flavor. It’s full of great sidebars filled with fluff and advice. 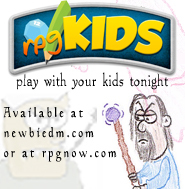 I dare say that it is the best 4e supplement to date for DM’s out there. It really should be called the Underdark campaign setting, because that’s what it felt like to me. Oh well, I guess there can never be too many reviews. I could go either way with maps. Sometimes they can be constraining. Thanks for the review. I’ll move this up my list. I’m glad I made the right choice. I ordered this from Amazon yesterday, and had been debating between this and The Plane Below. The lack of a geographical or topographical map of the Underdark is not something that I even really worried about since I am accustomed to making my own maps anyway. Especially because I want certain parts of the Underdark to be accessed/accessible relative to particular parts of my own homebrew world. So, it may be seen as a major drawback, or it may be seen as something to deal with that is not that big of a deal. I agree with the lack of maps not being an issue. I think it gives more freedom to DM’s by encouraging them to put the locations where they want them. Otherwise it was a perfect review. Are we reading the same book? I was disappointed. I felt it was good got you interested but then left you hanging. Should have been double the page count, the paper used was that really thin stuff that marks easily & maps they forgot them. I think The 3.5 version was much better. They did not forget maps, this book can be used by All game worlds, so maps are not applicable. I quite liked this book as well – I picked it up on a whim to read at GenghisCon here in Denver, and found myself enchanted with how many great ideas are in this book. I really love the god who crawls and how he ties the ideas of the underdark together. 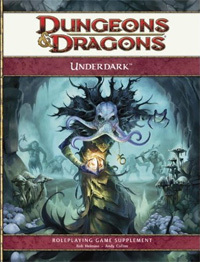 I agree that Underdark is one of the very best 4e DM books to come out yet. I was getting really worried about the quality of 4e stuff, but this has renewed my hope. I don’t care who you are, there are at least THREE awesome ideas that any DM can steal for his campaign and have your players gawking in wonder and terror.